My Traeger Smoked Beef Roast is BBQ Beef, but like on overdrive. 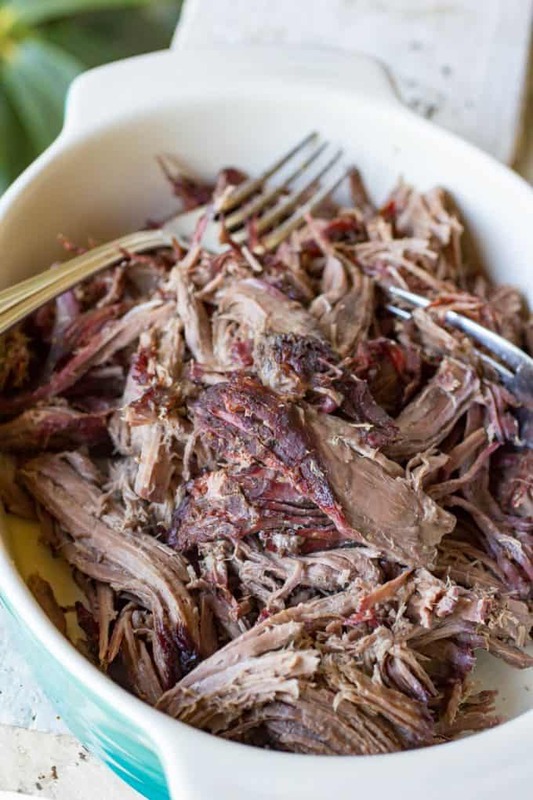 This starts out on your wood-fired grill or smoker and smokes on low heat for 6 hours, and then gets beer braised in a dutch oven on your Traeger or stovetop (or Instant Pot) until that roast is fork-tender and shreddable. 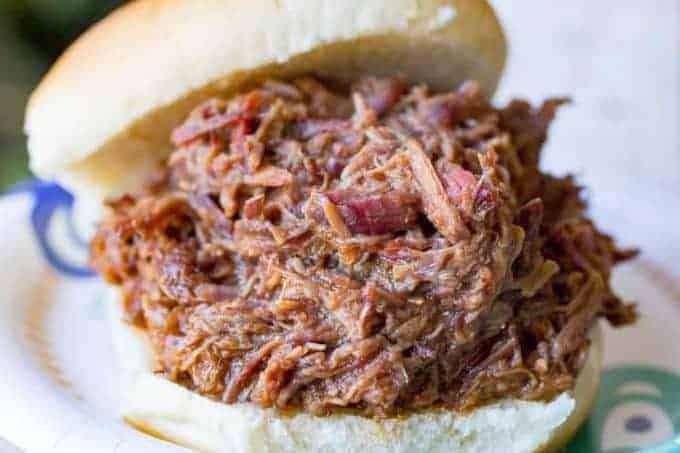 This shredded barbecue beef recipe takes a lot of time, but thankfully most of this is passive cooking time. 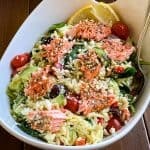 You could even do the braise in your Instant Pot or Slow Cooker if you wanted to “set it and forget it” while you go to work for the braise portion. I’m all about “hands-off” cooking, especially during a one-to-two-day marathon like this is! What type of roast should I smoke? For this particular recipe, I used a sirloin tip roast. 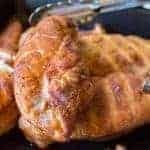 You can use whatever cut you prefer, just keep an eye on the final braise time because that will vary depending on your specific cut of meat. Personally, I prefer a leaner cut like this sirloin roast for shredded barbecue beef, but I know many others prefer something more marbled and with a higher fat content, like a chuck roast. 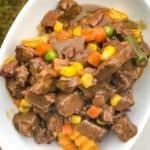 What can you do with a chuck roast? Chuck roasts are super versatile! 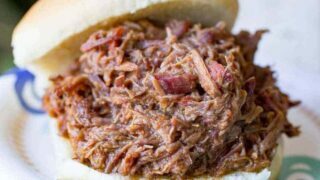 You can make them into stew, roast beef with gravy, shredded tequila lime tacos, and even this pulled smoked beef bbq. So many things! You can do just as many things with this sirloin roast too, to be fair, and in my area, the sirloin roast is cheaper. How to make a delicious fall apart beef roast? I’m glad you asked because that’s exactly what I’m here to tell you. 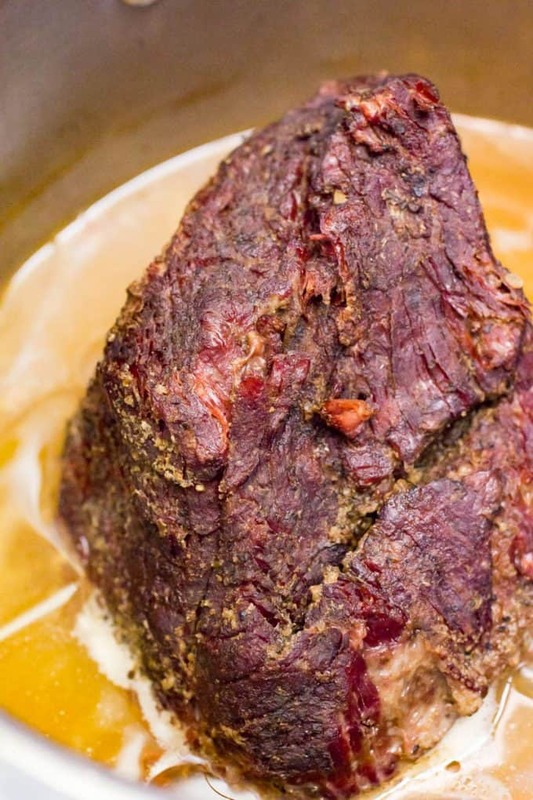 The key to a great fall-apart beef roast is a final cook with liquid and low and slow temps. I like to do this covered in a dutch oven with beer, hard cider, or red wine and beef stock if I’ll be making a gravy out of the drippings. The slow smoke at the beginning of this is really key to the bark you see in these pictures, and also the amazing flavor of the sandwiches at the end. You cannot substitute real wood-fired flavor, no matter what anyone tells you. Don’t believe it. Take your liquid smoke and go throw it out of your window, immediately, because NO. Don’t Skimp on the Seasoning!!!!!! Is that enough exclamation points, because it is SO IMPORTANT that you do a really thorough dry rub on this. 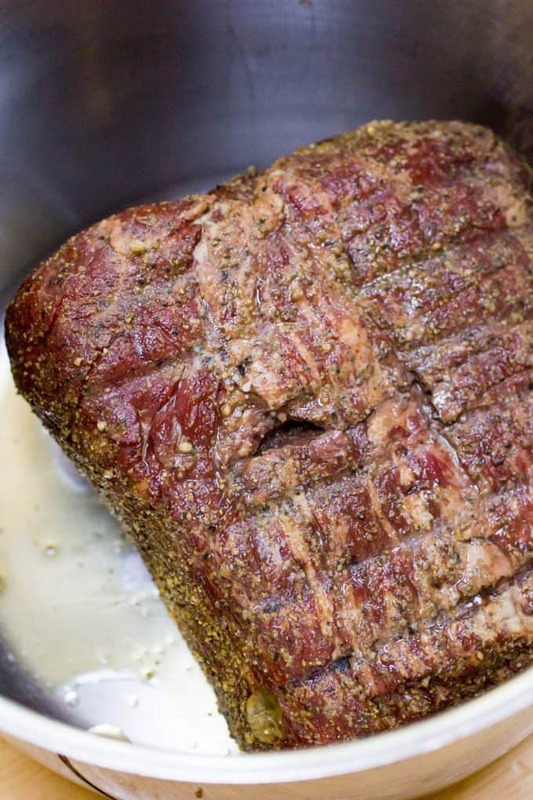 Beef needs seasoning, and salt, and a great rub also helps the smoke really adhere to the meat too. The smoke takes about 4-5 hours. You want to mostly leave it alone, besides flipping it a few times during the smoke to ensure there’s even coverage from the smoke. Whether you use your favorite beer, hard cider, wine, or broth, make sure that you fill your pot until it covers about halfway up the roast. Cover the pot, and let it slowly braise until it is fork tender. Depending on what type of roast you are using, this could take a few hours or up to 5 or 6 hours in some cases. Just BE PATIENT! It’ll get there. Flip it a few times so both sides of the roast get braised evenly. You can go old fashioned if you’d like, and braise your smoked beef roast in a big dutch oven. This will take several hours. How many really depends on the beef roast you are using. Different types take longer to tenderize and become fork tender. To really get the most flavor out of this, I’d recommend a Dutch oven on the Traeger. If you would prefer, you can also dutch oven it on the stovetop as well. 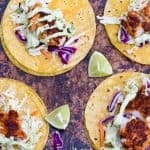 I went the Instant Pot route with this particular dinner, and it worked fabulously. It also cut the braising time in half by utilizing pressure. Start by turning it on at high pressure for 60 minutes. Let the pressure naturally release for 20-30. 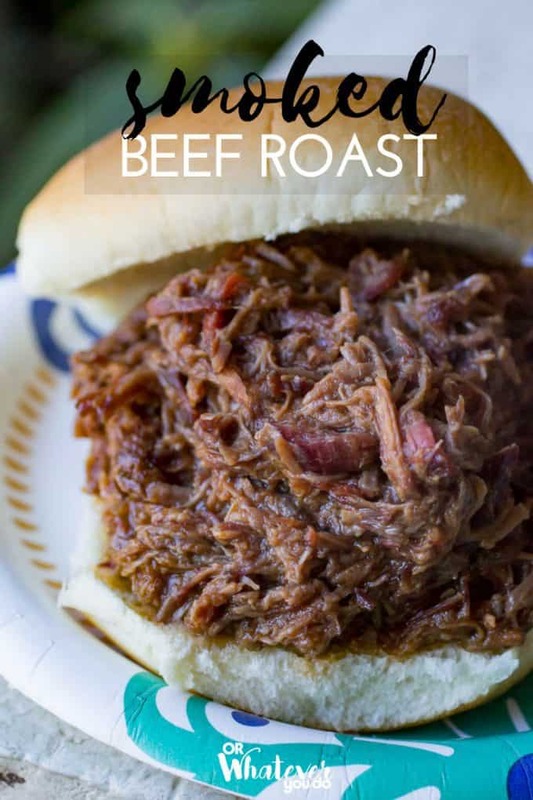 What Kind Of Barbecue Sauce for your Smoked Beef Roast? 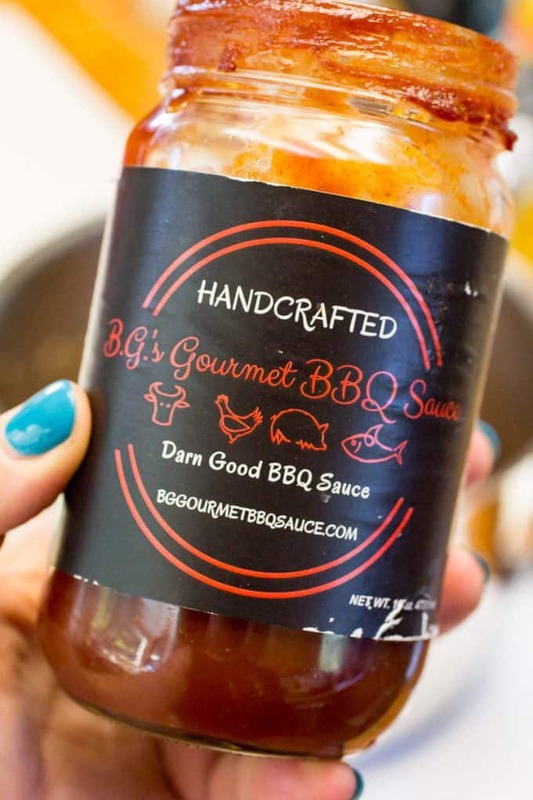 I prefer to make my own homemade barbecue sauce, but if you aren’t up for that I highly recommend finding something local and amazing. My current favorite is this one from a local food crafter in my area. I stock up when I find it because I love it THAT much. 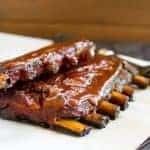 No matter what kind of bbq sauce you choose, you’re going to have a really hard time going wrong with this amazingly tender and flavorful beef. I hope you and your family enjoy this as much as we did! Make sure to share on social media if you give this a try, and share with your friends! Hashtag #owyd and tag @orwhateveryoudo! Thanks friends! My Traeger Smoked Beef Roast is BBQ Beef, but like on overdrive. 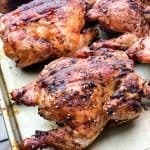 This starts out on your wood-fired grill or smoker, and smokes on low heat for 6 hours, and then gets a slow beer braise on the stovetop until that roast is fork-tender and shreddable. 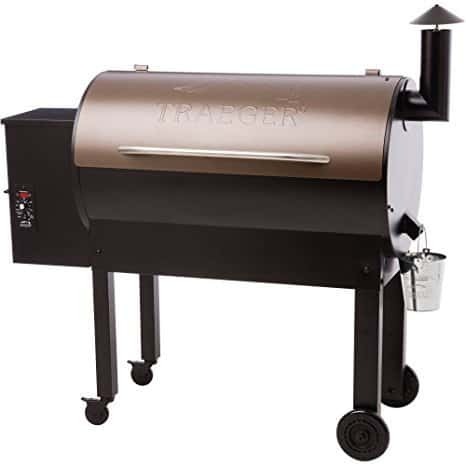 Turn your pellet grill onto the smoke setting. Trim excess fat off of your roast, and coat liberally with the bbq dry rub. Place on the grill, and let smoke for an hour. Continue flipping the roast every hour for the next 3-4 hours. Remove from the grill, and place into your braising vessel with the two beers. You may need three if your braising container is super large. You want it to come up about 1/2 way on the roast. Braise until fork tender and shreddable. This will vary depending on your specific roast, and your braising method. Stovetop braising will typically take 3-4 hours. Instant Pot braising will typically take 60 minutes + natural pressure release time of 25-30 minutes. Once the roast is fork tender, remove the braising liquid from the pan, reserving 1-2 cups. 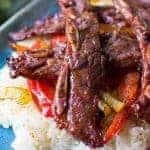 Shred the beef, removing any excess fat or connective tissue, and return the reserved braising liquid to the pan. 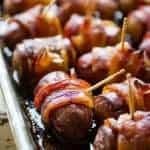 Add in your favorite barbecue sauce, stir, and keep warm until serving. 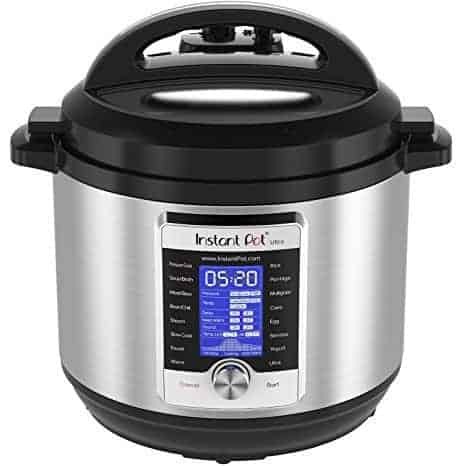 This can keep and maintain quality for several hours, and also reheats very well. This looks great. 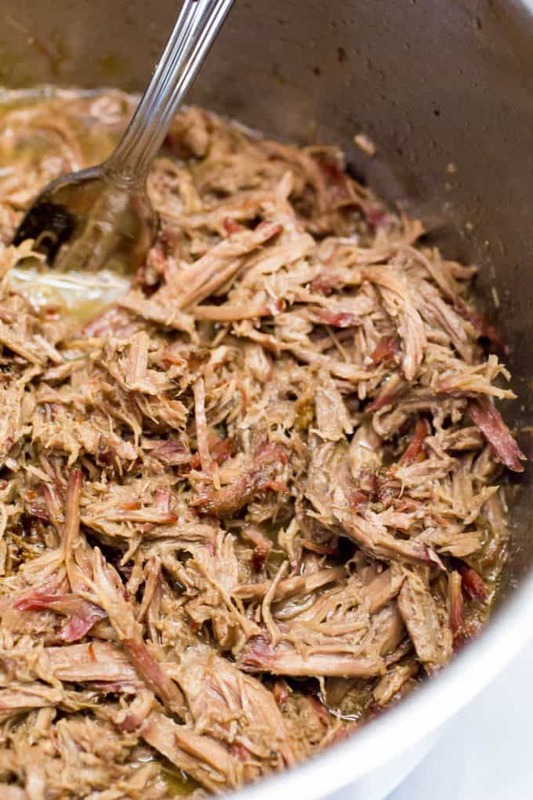 Those long slow cooking methods are really the best. They take a long time but absolutely zero effort and make the most amazing meat.